Solid Understanding of Your Industry – Apart from taking care of the day-to-day management of your company’s accounting tasks, the bookkeeping service provider you hire must have a good understanding of your industry. Being familiar with industry operations and trends can help prevent reporting errors and allow you to take advantage of potential tax savings. Updates Knowledge Constantly – On top of being familiar with your industry, the bookkeeper you pick must keep up to date with evolving business and tax regulations that could affect your business. Make sure that the Florida bookkeeping firm you choose continually upgrades its skills and tech know-how to keep you ahead of your competitors and at the forefront of your industry. Excellent Communication Skills – The bookkeeper you hire should be adept not only at numbers but also people. Your bookkeeper must be attentive and can explain things in a way that you would understand. Besides these three criteria, getting a bookkeeping service provider in Naples who always gets it right the first time is essential. After all, it’s more costly to fix bookkeeping mistakes than to do them correctly at the start. If you want a reliable and professional company that can satisfy your bookkeeping needs, turn to Perfect Accounting Service. Give us a call at 239-227-8283 for an initial consultation. You are more than likely looking to select a local bookkeeper in Naples FL located in your immediate area. We can come to your place of business. Our office is located in the immediate area. Secondly, any bookkeeper in Naples FL that you are considering should have years of valid experience – and we have over 20+ years of experience working with many types of businesses over the years. Many private or personal bookkeepers have been educated for years to build their businesses, or get jobs with well-known local firms. Any bookkeeper worth their salt will be more than happy to tell you about a few of the past clients they have worked with. They may even be able to provide professional references for their work. And we will be more than happy to do this for you when you call us (239) 227-8283 for an initial consultation to tell us about what you have in mind for your bookkeeping needs. You would never trust your car to a mechanic with little to no experience. 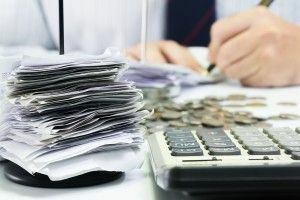 In the same vein, you should never trust your money to a bookkeeper with little relevant experience in accounting, bookkeeping, or financial planning. We invite you to seek out our firm because we have plenty of experience in this area. Feel free to ask any potential bookkeeper you are considering about their past experience in the area of finance. You may also want to ask them about their education, as well as any further education that they have completed since obtaining their most recent degree. Most bookkeepers continue their education to keep abreast of professional developments. In addition to all the experience and knowledge listed above, also consider customer service when selecting your bookkeeper. Look for someone who is responsive, personable, easy to work with, and quick to return your inquiries. If you are not sure about a particular bookkeeper that you are considering hiring, feel free to look for reviews or testimonials about their services online. Or ask any friends, neighbors, family members, colleagues, or loved ones about their past experiences with particular bookkeepers in the area. Working with the right bookkeeper like us from the get-go can make your life and your business much more enjoyable and profitable. Call Perfect Accounting Service in Naples (239) 227-8283 for the bookkeeper you have been looking for.